The above is the Chiranjivi Stotra in Sanskrit. It means, "Aswatthama, King Mahabali, Veda Vyasa, Hanuman, Vibhishana, Kripacharya and Lord Parashuram are the Seven Immortals of Hindu mythology. They are the main death-defying, ever-living entities. Apart from the main seven, Markandeya, a great rishi, is also considered as a Chiranjivi." Some other famous mythological characters such as Jambavan, Devapi, Maru, the Saptarishis, Kak Bhusundi, Muchukunda and Banasura are also considered as chiranjivis. Chiranjivi in Sanskrit refers to those who remain alive on Earth until the end of the current epoch, the Kaliyuga. The term is a combination of the words, "chiram" (permanent) and "jivi" (living being). It is the same as the term "amara", which also refers to "those who have no death". In Hinduism, immortal implies the entities that live until the destruction of the Universes. This includes physical bodies that continue to live till the end of time, as well as the Tridevas (Brahma, Vishnu and Shiva) themselves. 1. Ashwatthama, the son of Dronacharya, is a mighty warrior. He was born with a gem on his forehead, which gave him power over beings lower than human beings. He is a master of the arts and all forms of knowledge – he is an expert of the 64 Kalas (arts) and 18 Vidyas (branches of knowledge). 2. Mahabali was a wise and virtuous emperor of the three worlds. He ruled over Kerala for many years, until the manifestation of Vishnu in his Vamana Avatar. Vishnu himself blessed him to be a chiranjivi. 3. Vyasa was the erudite sage who composed the Mahabharata. He represents wisdom and piety. 4. Hanuman is well-known for his selfless and loyal service towards Lord Rama. He is also known for his immense strength, devotion and moral conduct. 5. Kripacharya was the Guru of the Royal Princes in the Mahabharata. He too was devout, pious and virtuous. 6. Parashurama held extensive knowledge about astras, shastras and other divine weapons. 7. Vibhishana was the brother of Ravana, the King of Lanka. He is known for his righteousness and adherence to the Dharma. It is believed that, by chanting the Chiranjivi Stotra, and by remembering these immortals, one can be free of all problems and can live a happy life well over 100 years. In this post, we bring you the first part of the Seven Immortals. 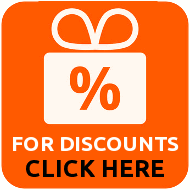 We present before you the story of the first three Chiranjivis, namely, Ashwathama, Mahabali and Veda Vyasa. Ashwatthama, also called Drauni, was the son of Guru Drona. He is also the grandson the sage Bharadwaja. A mighty Maharathi (most experienced warrior), he fought on the Kaurava side, against the Pandavas, during the Great War of Kurukshetra. Considered to be an avatara of one of the Eleven Rudras, he is believed to be a living survivor of the Kurukshetra War. He was given the name Ashwatthama (the horse-voiced), since he cried like a horse when he was born. Ashwatthama was born to Drona and Kripi. Drona did several years of penance to please Lord Shiva, in order to attain a son as great and valorous as the latter. Born a chiranjivi, Ashwatthama had a permanent gem in his forehead. This gave him the power over all beings lower than humans. It also protected him from hunger, thirst, exhaustion and fatigue, and shielded him from ghosts, ghouls and all other supernatural creatures. Drona lived a simple life and had very little money and property. As a result, Ashwatthama had a difficult childhood – they found it hard even to afford milk or basic food. In order to provide his family a better life, Drona went to the Panchal kingdom to seek aid from his classmate and friend, King Drupada. Drupada, however, denied help and humiliated Drona, saying that a king and a beggar could never be friends. After this incident, Kripacharya invited Drona to Hastinapura. There, he met Bhishma and then went on to become the Guru of the Pandavas and Kauravas. Settling in that region, he also taught Ashwatthama the art of warfare, along with the princes. The young Ashwatthama took to warfare quite naturally. So talented was he, that Bhishma himself declared that it would be virtually impossible for anyone to defeat or kill him. He was, after all, an aspect of Shiva himself and was born a chiranjivi. Though Ashwatthama earned the title of Maharathi, he did not have a very significant role in the Mahabharata, till after his father's death. On the 10th day of the war, when Bhishma fell, Drona was made the supreme commander of the Kaurava army. He promised Duryodhana, the oldest Kaurava prince, that he would subdue and capture Yudhishthira, the oldest Pandava prince. Drona relentlessly tried to defeat Yudhishthira, but failed to do so. Duryodhana then insulted Drona for his lack of capability. This immensely angered Ashwatthama. In the meantime, Krishna, knowing that the armed Drona could never be defeated in the battlefield, hatched a plan to somehow break his will. He suggested to Yudhishthira and the other Pandavas that if Drona were convinced that his son was killed while fighting, would then surrender and retire in grief. Accordingly, he asked Bhima to kill an elephant named Ashwatthama. Bhima then went to Drona and told him that Ashwatthama was dead (then muttering softly that it was the elephant). Thinking that it was his son who died, Drona was grief-stricken and broke down on the battlefield. A broken and unarmed Drona was eventually beheaded by Drishtadyumna. On hearing how his father died, an enraged Ashwatthama unleashed the powerful Narayanastra, destroying an entire section of the Pandava army. He defeated Drishtadyumna (though he could not kill him) and forced both Satyaki and Bhima to withdraw. After Dushasana's death, Ashwatthama suggested to Duryodhana that he make peace with the Pandavas. After Duryodhana faced defeat at the hands of Bhima, Ashwatthama rushed to the side of his grievously injured friend and swore that he would avenge his fall. Duryodhana appointed him as the commander-in-chief. There were now only 3 surviving warriors in the Kaurava camp, namely, Ashwatthama, Kripa and Kritavarma. Asking the other 2 to stand guard, Ashwatthama decided to ambush the Pandava camp. He prayed for Shiva's grace and instantly, both Shiva and Parvati helped him, giving him much power, weapons and an army of fighters. Ashwatthama first attacked Drishtadyumna and then went on to slaughter several prominent Pandava warriors, including Shikhandi, Yudhamanyu, Uttamaujas and many more. He then planned to kill the Pandavas in their sleep. However, he failed in that attempt and ended up killing the Upapandavas (sons of the Pandavas), thinking that they were the Pandavas. He then went back to a dying Duryodhana and reported the amount of damage he had unleashed upon the enemy camp. Shortly thereafter, Duryodhana breathed his last and the trio cremated his body. The next morning, the Pandavas came to know about the attack in the night. They were immensely grieved by the death of the Upapandavas. They then went in search of Ashwatthama, who was at sage Vyasa's ashram. Seeing them approaching, Ashwatthama devised the Brahmashirsha astra from a blade of grass and invoked it against the Pandavas. In response, Arjuna invoked the same astra back against Ashwatthama. Vyasa understood that the collision of the astras would result in the total annihilation of the earth itself. He advised both warriors to revoke the astras and withdraw their struggle. Arjuna was able to withdraw his own astra, but Ashwatthama did not know the mantra for the same. He was then asked to deviate the astra to an uninhabited place, so that it would not cause damage to anyone. However, the arrogant Ahswatthama decided to direct the weapon towards the womb of Uttara, so that he could wipe out the entire lineage of the Pandavas. The weapon destroyed the unborn child, thus destroying the Pandava ancestry. The angered Pandavas managed to subdue Ashwatthama. He was also asked to surrender the gem on his forehead, as punishment for all the sins that he committed. Krishna cursed him that he would roam the forests for 3000 years, with blood and pus oozing out of his wound. He would be alive, but he would be shunned by all and would not be able to communicate with society as a whole. He would also suffer from several incurable diseases, which would result in sores and ulcers forming all over his body. According to one version of the Mahabharata, Ashwatthama approached his Guru's Guru, Lord Parashurama, to heal him and absolve him of all his sins. Seeing his pathetic condition, the latter agreed and healed him. After a period of 36 years, Ashwatthama met the Pandavas again. By then, he had been initiated into Shakti worship. He then went on become one of the greatest ever Yogis and Rishis in Kaliyuga. A doctor in Madhya Pradesh claimed to have a patient with a permanently septic forehead. The wound remained fresh and kept bleeding and refused to heal, no matter how hard he tried to cure it. Remarking that the wound seemed ageless and cureless, the doctor jokingly queried if the patient was Ashwatthama. In reply, the patient just laughed and vanished the second the doctor turned the other way. Some Yogis residing in the Himalayas claim to have sighted the warrior-turned-Rishi. It is believed that he offers flowers to a Shivalinga every morning. Locals residing on the foothills of the Himalayas report that a very tall man with a noticeable dent in the center of his forehead visits a particular restaurant owner once every year. He is believed to eat all the food prepared by the owner and drinks at least 100 liters of water. He then quietly disappears into the forest, only to reappear the next year, at the same time. Interestingly, it is believed that, in the Dwapara Yuga, the average height of a man was between 12-14 feet. It is also said that these men had massive appetites and could live on food they ate just once a year. Several people have reported spotting someone with a huge dent on his forehead, aimlessly roaming around the Narmada River in Gujarat. He too was described as being a very tall man, walking around with a fresh wound in his forehead. Vasudevanand Saraswati, also known as Tembe Swami, is a saint, considered to be an incarnation of Dattatreya. He is believed to have met Ashwatthama in the dense forest of Shulpaneeshawar near Katarkheda, a small village in Madhya Pradesh. He got lost in the forest and was unable to reach the town. Suddenly, an odd-looking person appeared before the Swami and offered to guide him out of the forest. Swami noted that the man was of extraordinary build and had a peculiar gait. Almost at the end of the forest, the strange man gave him precise directions to enter the town and told him that he could no more accompany him. Swami then told him that he did not seem to be human and that he had an other-worldly aura about him. He asked him if he was a Yaksha or a ghost of some kind. To this, the man simply said that he did not belong to this era; that he was from the Dwapara Yuga; and that he was Ashwatthama! In spite of all these reports and stories, Ashwatthama sightings are very rare and hardly ever happen. People believe that he is very much around, but has the power to remain invisible at will. 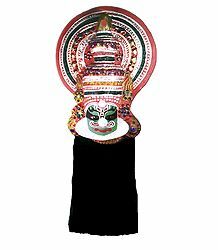 Mahabali Chakravarthi, also known as Maaveli, was a benevolent Asura (demon) King of Kerala. He came from an illustrious lineage of greats. He was the great great grandson of sage Kashyapa, great grandson of Hiranyakashipu, the grandson of Prahlada and the son of Virochana. Though an Asura, he was a wise man and a scholar. He was a beloved king and he commanded the love and respect of his subjects. Under his rule, the entire state of Kerala experienced great prosperity and happiness. Everyone was honest and happy under his rule and there was no crime or cheating of any sort. There was also no discrimination on the basis of caste or status. No one bothered to lock their doors, as there were no thieves in the kingdom. It was a veritable golden era for Kerala at that time. Watching Mahabali's strength and popularity grow by the day, the Devas (Gods) started becoming jealous of him. They felt threatened by him and feared that he would one day usurp their position in the Heavens. They then decided to plot a strategy to get rid of him. Aditi, mother of the Gods, sought the help of Sri Maha Vishnu, who Mahabali worshipped as his Ishta Devata (favorite God). Now, King Bali was known for his generosity. He never denied anyone their wish and never let anyone return empty-handed from his palace. In order to test Mahabali, Vishnu disguised himself as a Brahmin dwarf, called Vamana. He entered the kingdom, just as Bali had performed his morning prayers and was preparing to offer daan (charity) to poor Brahmins. Vishnu approached him in the form of Vamana and asked Bali for a piece of land. The king immediately agreed and told him that he could have as much land as he wanted. To this, Vamana replied that he only wanted as much land as could be spanned by his three steps. The king was surprised, but readily agreed to grant the Brahmin his wish. In the meantime, Shukracharya, who was Bali's advisor, sensed that Vamana was no ordinary Brahmin. He warned the King about this and warned him against making the promise. However, Bali had already promised the land and said that he could not go back on his word. Just as Bali granted the land to Vamana, the latter took the Vishwaroopa (gigantic form) and expanded himself to cosmic proportions. He covered the whole of the Earth with one step. With the second step, he spanned the skies. He then asked Mahabali where he should place his third step. 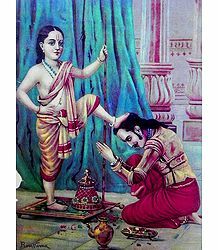 The King, realizing that Vamana was none other than Lord Vishnu himself, humbly knelt down before him and offered his own head. Vamana smiled and placed his foot on Bali's head, slowly pushing him down to Patala (the Netherworld). The Lord told Bali that he had succeeded in the test and had emerged the winner. 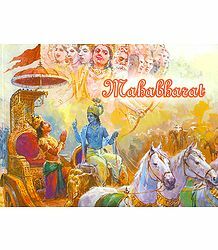 King Mahabali is considered as the greatest ever paradigm of the ultimate Sadhana of Nava Vidha Bhakti, namely, Atmanivedanam or total surrender. Though Bali was a successful practitioner of Raja Yoga, he shone as the best example of humility and complete faith in the Supreme Godhead. Mahabali was so attached to his kingdom and his subjects; that he requested to be allowed to visit Kerala once in a year. Vishnu readily granted him that wish. He permitted the king to come back once every year and spend a few days roaming his land. He also blessed the king saying that, even in spite of losing all his power and material possessions, he would always be loved by his subjects. The day when King Mahabali commences his annual visit to Kerala is celebrated as Onam every year. This festival is in commemoration of the noble king and is a tribute to his enormous sacrifice. On this day, Malayalis all over the world make elaborate preparations to welcome their beloved ruler, who they affectionately address as Onathappan. They create intricate Pookalams, which are designs made on the ground, and decorated with various types of flowers; light lamps; pray to the Lord; wear new clothes and prepare elaborate feasts to welcome Mahabali. They aim to please the visiting spirit of their King, by letting him know that all is well in the land and that all his subjects are happy and prosperous as before. The second day, Thiruvonam, is the biggest and most important day of this festival. It is believed that Mahabali comes visiting the land on this very day. While Onam is celebrated all over Kerala, the event is particularly important for the people of Trikkakara, a place about 10 kilometers from Kochi. Trikkakara was the capital of King Mahabali. Here, one can find a temple dedicated to the "Trikkakara Appan" or "Vamanamurthy" – incidentally, it is the only temple dedicated to Vamana in Kerala. The legend of Mahabali, Vamana avatara and Onam is famous in Indian mythology. This tale is artistically depicted at the Suchindram Temple in the Kanyakumari district of Tamil Nadu. Veda Vyasa is one of the most revered sages of Hinduism. Also referred to as Vyasa Muni and Krishna Dvaipaayana (owing to his dark complexion and birthplace), he was the one who classified the Vedas. He is also considered as the author of the Mahabharata and penned the Puranas as well. Vyasa appears for the first time as an important character in the Mahabharata. 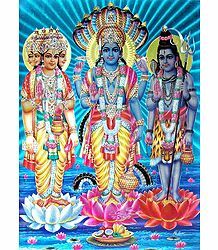 It is believed that he was one of the aspects of Lord Sri Maha Vishnu, who manifested in the Dwaparayuga, in order to make all Vedic knowledge available in written form. Till then, it was available only in spoken form and was transmitted from generation to generation only by rote. Vyasa was born to Satyavati (daughter of the fisherman Dusharaj) and sage Parashara (who had penned the very first Purana; the Vishnu Purana). There is some confusion regarding his birthplace. While one view suggests that he was born in the Tanahun district of Western Nepal, another one says that he was born on an island in the Yamuna River near Kalpi, Uttar Pradesh. As mentioned earlier, that may have been the reason why he was also referred to as Dwaipayana (the one who was born in an island). It is believed that Dhritarashtra (son of Ambika), Pandu (son of Ambalika) and Vidura (born to Amba and Ambalika's maid, Parishrami), were all actually born from Vyasa's Siddhis (spiritual power). He is said to have resided on the banks of the Ganga in the modern-day Uttarakhand. Incidentally, sage Vasishtha also resided in that region, along with the Pandava brothers. According to the Mahabharata, they all stayed there after the Kurukshetra War, enjoying the peace and beauty of the atmosphere of that area. Since Vyasa Muni spent a good amount of time in prayers, the place was given the name "Vasara", which then became "Basar" (in Telangana). In his earlier life, Vyasa was the Sage Apantaratamas, who was created when Lord Vishnu uttered the syllable "Bhu". A staunch devotee of Vishnu, he possessed the knowledge of the Vedas, the Dharmashastras and the Upanishads, right at birth. Vyasa's father, sage Parashara, was the grandson of Sage Vasishtha. Parashara performed severe penance to Lord Shiva, who, pleased with the former's devotion, granted him a boon that he would beget a son who would be known as a Brahmarishi. He blessed the sage, further saying that the son would be equal to Vasishtha and would be famous for his knowledge. According to legend, sage Parashara was once in a great hurry to attend a yagna (sacrificial fire ritual). He had to cross a river to get to the venue of the yagna. Satyavati, a fisherwoman, owned a boat. She rowed him to the other end of the river. Pleased with her service, the sage offered her a mantra, which would help her beget a son, who would be filled with all the best qualities. This child, he said, would also become a famous sage. Upon receiving the mantra, Satyavati chanted it and immediately gave birth to Vyasa. Vyasa instantly grew to be an adult and left the residence, promising his mother that he would always come back to her when she needed him. Mortified, Satyavati kept this birth a secret, not even telling her future husband, King Shantanu. After many years, Satyavati and Shantanu had two sons, Chitrangada and Vichitravirya. The former was killed by the Gandharvas in a battle and the latter was always weak and ill. In the meantime, Vyasa proceeded on his onward spiritual journey and acquired his knowledge from the four Kumaras, sage Narada and Lord Brahma himself. When Vichitravirya grew old enough, Satyavati asked Bheeshma to find queens for him. 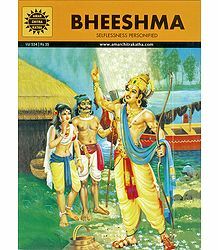 Bheeshma proceeded to a swayamvara ceremony held by the king of Kashi. There, he defeated all the other kings and abducted the three princesses, Amba, Ambika and Ambalika. During the wedding, Vichitravirya collapsed and died. Wanting to save the clan from perishing, Satyavati asked Bheeshma to marry the princesses. He flatly refused, as he had taken the vow of Brahmacharya (celibacy). Feeling helpless, she revealed to Bheeshma her past and told him about Vyasa, asking him to bring his son to her. Once there, Vyasa asked his mother to send Ambika to him. By means of his siddhi, he granted a child to her. This child was born blind – he went on to rule as King Dhritarashtra. Later, asked that Ambalika visit him. He granted her a child as well – this son was Pandu, the father of the Pandavas. He then asked Satyavati to send the last princess, so that a healthy child could be borne by her. This time, Ambika and Ambalika sent their maid to him. The maid was calm and composed in front of the sage. She had a healthy baby boy, called Vidura. Later, Vyasa had another Shuka, from his wife Pinjala (Vatika), who was the daughter of sage Jaabaali. Vyasa categorized the single Veda, prevalent at that time, into three canonical collections. The fourth Veda, called the Atharvaveda, was recognized as a Veda much later. He split the Vedas in a way that made it relatively easy for people to understand and appreciate the wealth of knowledge therein. Incidentally, the word "Vyasa" itself means "to split, describe or differentiate". Hindu philosophy views the Universe as a cyclical phenomenon, which is in a constant process of evolution and dissolution. Each of these cycles is presided over by several Manus, one for each Manavantara, which has four Yugas or ages. These Yugas follow a pattern of gradually declining morals and virtues. The Dwapara Yuga is the third Yuga. During this time, Vishnu manifests in the form of Vyasa, in order to promote the good of mankind. He divides the Vedas into many portions, in order to make it tenable for mortals living in that era to understand and accept the concepts mentioned therein. It is believed that this cyclical process has already taken place twenty-eight times so far, and that twenty-eight Vyasas have come, fulfilled their mission on Earth, before going back to the Source. According to the Vishnu Purana, Guru Drona's son, sage Ashwatthama, will become the next Vyasa, who in turn will divide the Vedas in the 29th Mahayuga of the 7th Manavantara. Vyasa, along with another great sage, Mahatharvan, convinced the community that they needed a fourth Veda – the Atharvana Veda – which would be on par with the three Vedas prevalent till then. This Veda dealt with the occult sciences and the science of manipulating energies in order to create events in the world. The other Vedic scholars were against recognizing the Atharvana Veda, as they feared that this power could be misused in the wrong hands. However, Vyasa argued that there was nothing wrong with the science itself and so, it should be taken as part of the main Vedas. Eventually, the Atharvana Veda was considered as the Fourth Veda. The four Vedas remained an oral tradition, until the time when the Gangetic plain was struck by a famine, which lasted for 14 long years. There was absolutely no rain for that entire period of time and crops dried up. People died and the survivors were too busy trying to keep themselves alive. As a result, everyone forgot to recite the Vedas and gradually deviated from all their traditions and rituals. When the rains arrived once again, and Vyasa saw the amount of loss that civilization had experienced because they had lost the Vedas, he decided to formally write them down. He classified them into four segments, called the Rig Veda, Atharva Veda, Sama Veda and Yajur Veda. Even today, these four Vedas are considered to be the greatest ever documents bestowed upon humanity. Vyasa is traditionally considered as the one who chronicled the Mahabharata. Brahma suggested to Vyasa that he should enlist the help of Ganesha, the Elephant-Headed God, to complete this mammoth task. 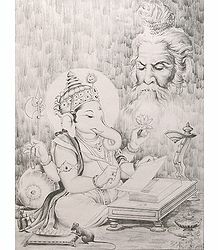 Accordingly, in the first book of the Mahabharata, Vyasa asked Lord Ganesha to help him with writing the text. Ganesha agreed on the condition that Vyasa should narrate the entire story without a pause. Vyasa agree with a counter-condition that Ganesha must understand each verse before he transcribed it. Thus Vyasa narrated the entire epic, all the Upanishads and the 18 Puranas to Ganesha – the latter readily penned it all down. According to some legends, it is believed that Ganesha broke one of his own tusks to use it as a pen to write down all that Vyasa narrated to him. According to another version of the legend, Vyasa wanted to create and compile a great epic, which would be relevant to people of all times and all ages. He told the story to two people – one of them was his trusted and best disciple, Vaishampayana. Though the disciple listened with rapt attention, Vyasa knew that his narration would get diluted over time, as it was passed down to the next generation. Not willing to take a chance, Vyasa requested Ganesha to help him write down his works. Unfortunately, that document was so perfect and contained so much knowledge, that the Gods themselves stole it. Hence, the Mahabharata as we know it today is only that part which Vaishampayana remembered. The one that Ganesha wrote would be very different and far more elaborate. Incidentally, after the war was over, Vaishampayana narrated the entire story to Janamejaya, ruler of Hastinapur and the successor of Yudhishthira. Vyasa later also authored the Yoga Bhashya, a commentary on the Yoga Sutras of Patanjali. Vyasa is believed to have authored the Mahabharata sitting by the foothills of the river Beas (Vipasa) in the Punjab area. His "Jaya" (literally meaning, "victory") or the Mahabharata, has been written in the form of a dialogue between Dhritarashtra (the father of the Kauravas) and Sanjaya (the king's advisor and charioteer). Sanjaya is given special powers by the Lord, to view the goings-on in the battlefield, during the Great War of Kurukshetra. He narrates the same to the blind King. The war goes on for a period of eighteen days. 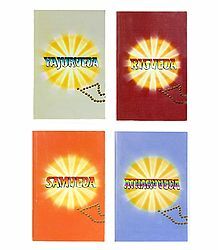 Every day, Sanjaya untiringly describes in detail every military formation, strategy, counter-strategy adopted by the enemy, list of lives lost in battle and so on. During the course of the dialogue, Dhritarashtra interrupts Sanjaya to ask questions and doubts. He sometimes laments, knowing that the war would ultimately bring destruction upon his son, friends and kinsmen. The eighteen chapters of Vyasa's Jaya constitute the sacred Bhagavad Geeta, which is not just a treatise, but actually describes the core values of Hindu philosophy itself. In Brahm Avtar, one of the compositions in Dasam Granth, Guru Gobind Singh talks about Rishi Vyas as an avatar of Lord Brahma himself. He is revered as the fifth incarnation of Brahma. The festival of Vyasa Purnima or Guru Purnima is dedicated to Rishi Vyasa. This is believed to be both his birthday and the day he divided the Vedas. In our next post, we will bring you the final part of this series, where we will present the stories of the remaining four Chiranjivis - Hanuman, Vibhishana, Kripacharya and Lord Parashuram.